Seventy years after they were used in the defence of Britain’s coast and harbours a national maritime charity is on the lookout for budding adventurers to visit its red sea mines which are now used as charity collection boxes. The Shipwrecked Mariners’ Society is calling on volunteers to circumnavigate the UK to complete a mine to mine challenge, by visiting all fifty mines situated around the mainland and outer islands. 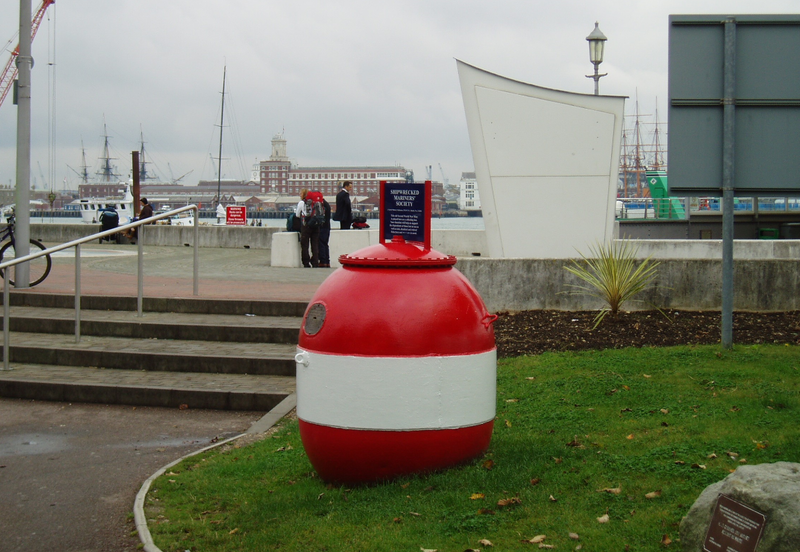 “Around 200 mines were originally donated to us by the Admiralty for use as collection boxes in recognition of the Society’s significant help to thousands of shipwrecked survivors during WW2. Not just sailors but soldiers, airmen, nurses and civilians who were landed at British ports after being rescued – particularly during the Battle of the Atlantic – Britain’s worst maritime conflict. The Shipwrecked Mariners’ Society provided immediate financial assistance to survivors arriving back in Britain for clothing, food, accommodation and rail passes to get them home to their loved ones. These days the Society has around 50 mines remaining and they’re spread around the coastline of the UK – including the occasional one on outer islands. We’ve estimated that it could take someone in the region of three months to visit them all if travel is by bicycle but the challenge could also be undertaken by a keen leisure sailor by sea. In fact we’re open to volunteers’ own ideas about how they might like to undertake the challenge and the means of transport they use. The Charity, which provides financial support to ex-fishermen, merchant mariners and their dependants in need and also to those injured or too ill to continue working at sea, received over 600 new applications for assistance in the past 12 months and distributed £1.4million across 2,200 cases of need.